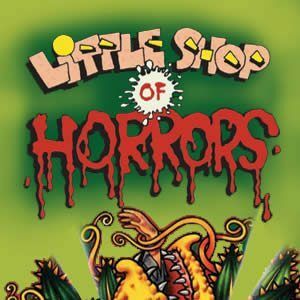 Chicago Heights, IL-(ENEWSPF)- The Drama Group is excited to present the gleefully gruesome musical, Little Shop of Horrors, directed by MaryEllen Fawk and Andy Leahy. Performances will be held at The Drama Group Studio Theatre on October 21, 22, 27, 28, 29 at 7:30 pm and matinees on October 23, 29 and 30 at 2:00 pm. Tickets are $21 for adults; $20 for seniors and $15 for students with ID. Group discount rates are also available. Good seats are still available. Tickets can be purchased by calling the Box Office at 708-755-3444 or online http://www.brownpapertickets.com. The Drama Group Studio Theatre is located at 330 W. 202nd Street in Chicago Heights. For directions and other information regarding Drama Group activities, please visit our Web site at www.dramagroup.org. Seymour is a poor florist assistant who has acquired a plant he has named Audrey II, after the love of his life, Audrey. However, his plant is no normal plant, having come from outer space and requiring a diet of fresh blood. Seymour’s craving for love, fame and fortune lures him into nurturing a horticultural horror with a carnivorious appetite. A fun spoof of ’60’s sci-fi movies, full of rock and roll, doo-wop and Motown.